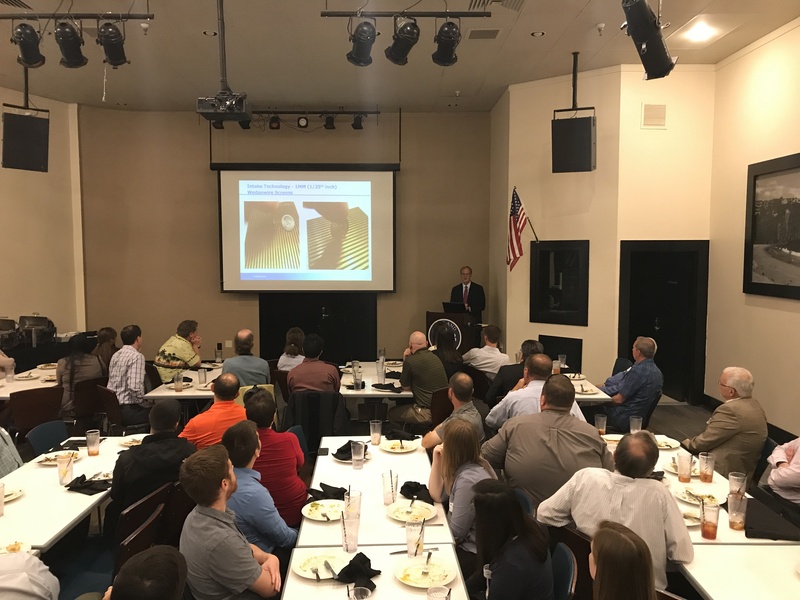 The ASCE Orange County Branch June luncheon meeting presented on Seawater Desalination. The key-note speaker was Andrew Kingman, Executive Vice President of Poseidon Water. Poseidon Water is a United States based company, specialized in water infrastructure development. 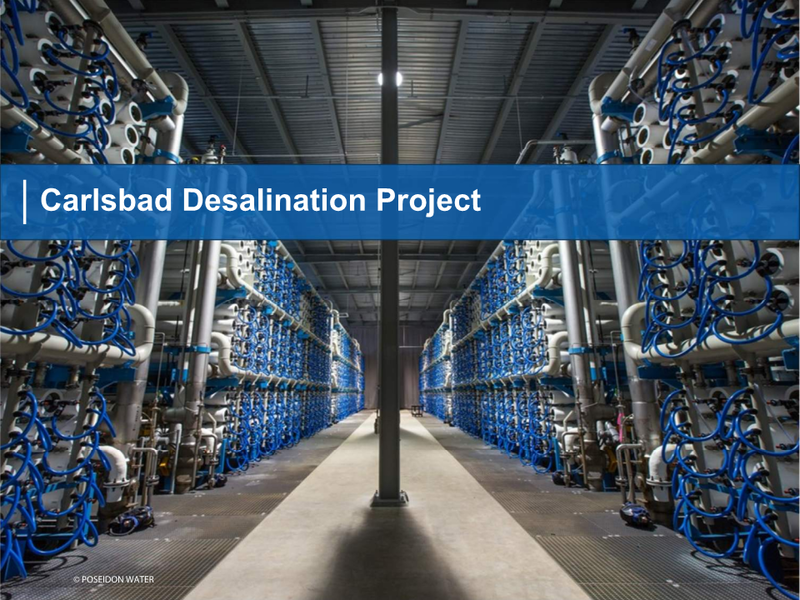 Poseidon Water was the leading company behind the Carlsbad Desalination Plant, and they are currently working on the permits to develop the Huntington Beach Desalination Plant. Mr. Kingman discussed the Company’s business model, the Carlsbad Desalination Plant Project, and the current status of the proposed Huntington Beach Desalination Plant. Poseidon Water provides development funding and construction funding, in occasions certain projects are funded with Public Agency support. Usually, after the facility is completed the Public Agency will pay Poseidon for the project after all the requirements and obligations are met. This contracting system facilitates the processing of permits and accelerates construction time providing infrastructure needs for the public more promptly. The Carlsbad Desalination project was completed on December 2015. Today it is a fully operational facility providing 54 million gallons of water per day serving San Diego County. It now accounts for 10% of the San Diego water needs, and it is being transferred to San Diego County Water Authority through a 30-year water purchase agreement. After the project closed the total cost was $922M. It has delivered about 23 billion gallons of drinking water to date. The desalination plant consists of 8 different processes: intake, pretreatment, clear well, reverse osmosis 1st Pass, reverse osmosis Cascade, post-treatment, product tank and the chemical area. The proposed Huntington Beach Desalination Plant is currently going under permitting applications. The need of a desalination plant for the County of Orange stems from the scarcity of water in Southern California, as seen in the past 5 years extreme drought condition that raised alarms at all municipalities. Reservoirs experienced the lowest levels ever recorded and decision makers are faced with finding long term solutions. Specifically Orange County imports 50% of its water supply. The majority of the imports rely on rainfall and mountain snowpack. Seawater desalination would provide a new local reliable water supply source. However, lots of opposition has come from city locals and environmental groups who are concern about the need for a desalination plant and the potential damages to the seawater habitat and the ecosystem within the area of intake. During the preliminary stages of design Poseidon is working on addressing the issues and concerns the surrounding communities have. They are looking into providing renewable power, they will be using reverse osmosis which does not produce green house gases, and at best they are looking into making the project carbon neutral. The best location for the Desalination plant was determined to be adjacent to the existing AES power plant. This location is already use for industrial purposes and it has the space required to build the plant. Another benefit of this location is that the proposed plant would utilize an existing intake that was utilized previously by the energy plant. This would help minimize the impacts to the seawater ecosystem. At this stage Poseidon is diligently working with the local and state agencies to ensure they abide by all the requirements and provide a product that will ultimately be a benefit for the community. Their goal is to have the plant running by some time in 2019.